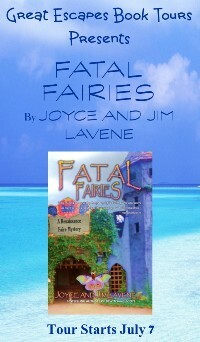 Fatal Fairies is a wickedly fun thrill-ride of a mystery for readers. This is an action packed, magical cozy that will keep your attention from the time you pick it up till you put it down, which you want to do. It is always fun to visit the Renaissance Faire, there is always something going on. It was such a great story I think all mystery lovers will love reading it … Definitely a die hard fan of this series it has so many fabulous characters and keeps action and adventure alive for sure!! This is such a quick fun read that you can devour in one sitting, and really, you’ll want to. It is fabulous, and I’m not just saying that because the Lavene’s are my favorite mystery authors. 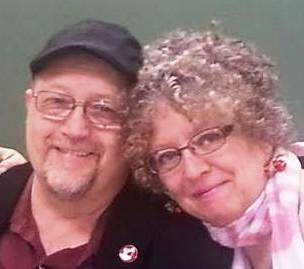 The Laveve’s have written a charming story that is so much fun to read. Great characters, wonderful mystery, idyllic setting, with humor, romance, and a bit of make believe too. 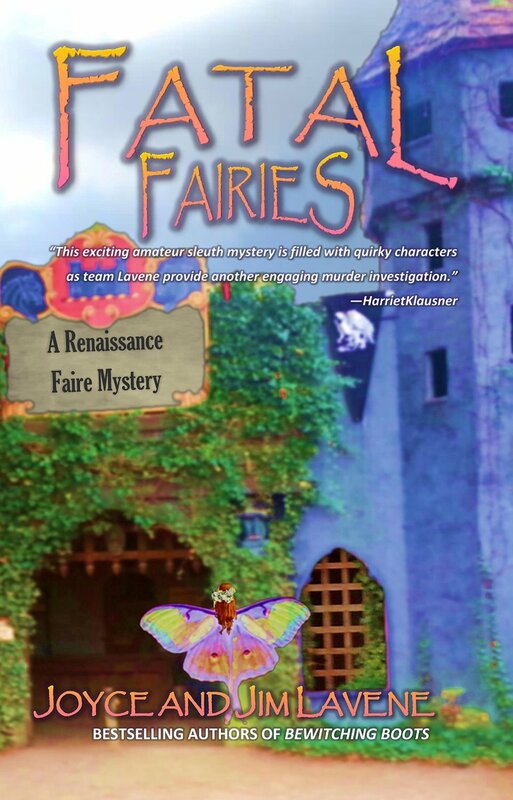 When a fairy named Apple Blossom is found dead in the Good Luck Fountain at Renaissance Faire Village, Jessie Morton makes a wish she lives to regret–that her husband, Chase Manhattan, is no longer the Village Bailiff. She doesn’t want him to look for the fairy’s killer and ruin their plans to go away for their first wedding anniversary. Trapped in a timeless ‘It’s a Wonderful Life’ experience, Jessie is transported to a different Village to face the consequences of her wish where Chase isn’t the Bailiff, and he’s not married to her. Jessie’s fairy godmother who granted the wish tells her that she must find a way to make Chase fall in love with her again, and they must discover who killed Apple Blossom, if she ever wants to go back to the life she knew. A full set of all the Renaissance Faire books (1-7 in print) plus a $20 Amazon gift card. 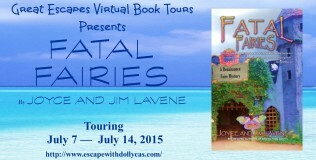 Thanks for the awesome blog tour, Lori! I’m a huge fan of the Lavenes and every series they write! I can’t wait to read this title!